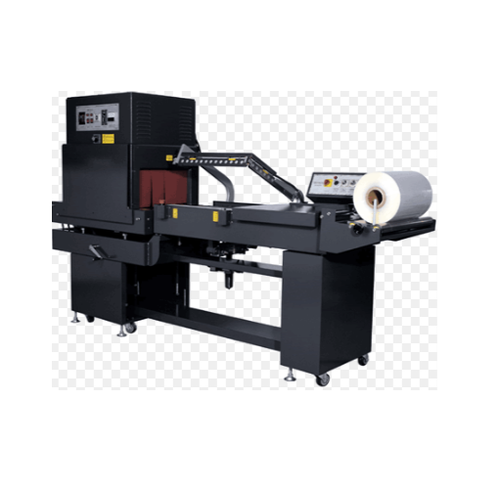 We are recognized as leading Manufacture & supplier of Shrink Wrapping Machine that is extensively used in various industries to serve shrink wrapping applications. These machines are widely used in the packing of foodstuff, cultural supplies, commodities etc. 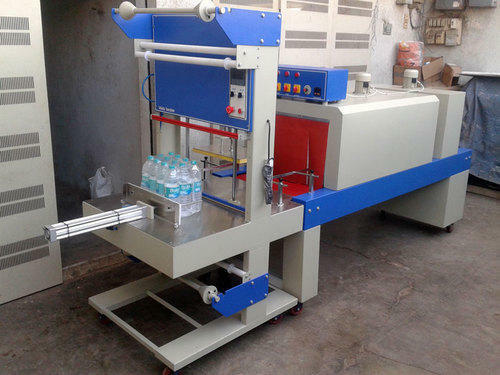 We are recognized as leading Manufacturer & supplier of Water Bottle Shrink Wrapping Machine that is extensively used in various industries to serve shrink wrapping applications. These machines are widely used in the packing of foodstuff, cultural supplies, commodities etc. 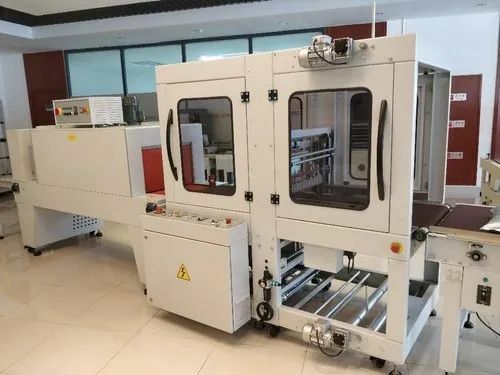 The operator has to manually put bottles; when bottle will be passing through the pneumatic cylinder, wrapping & cutting & shrinking will be done automatically. We provide Collating and Shrink Wrapping Machine to our clients at pocket-friendly prices. These are made up of high-grade material.We provide Collating and Shrink Wrapping Machine to our clients at pocket-friendly prices. These are made up of high-grade material. 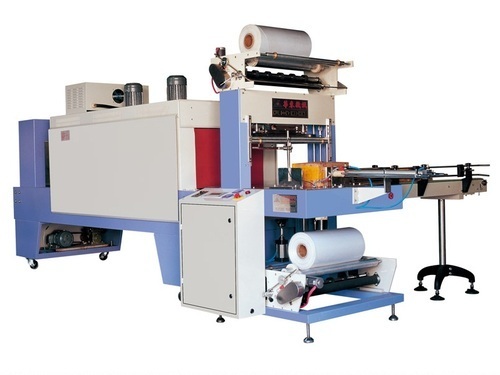 We are engaged in manufacturing and exporting a wide range of Paper Bundle Shrink Wrapping Machine that is of premium quality, highly effective and safe to use. 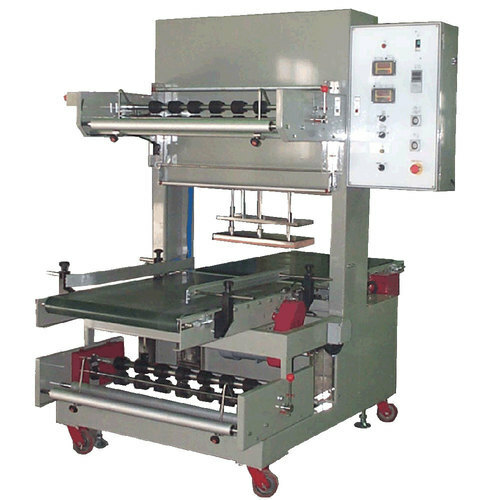 This Automatic Shrink Wrapping Machine helps in the wrapping of all types of products. Sealing and shrinking in one operation. Visual observation of shrinking operation. Can handle a variety of sizes/shapes, without any change of parts. Easy to work with one operator. Only 5 minutes start up time. Caster mounted for easy maneuverability. Operates on single phase, 15 amp socket. Adjustable working platform. We offer a quantitative range of Web Sealer for Bottles. 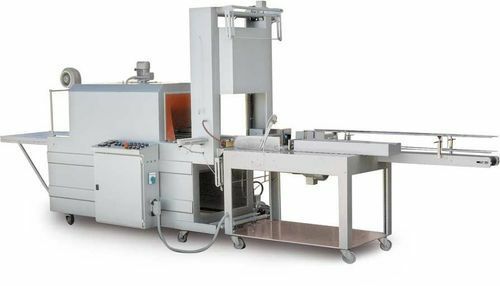 This Web Sealer For Bottles is designed for sleeve wrapping of product already loaded on trays, single boxed or rigid items. 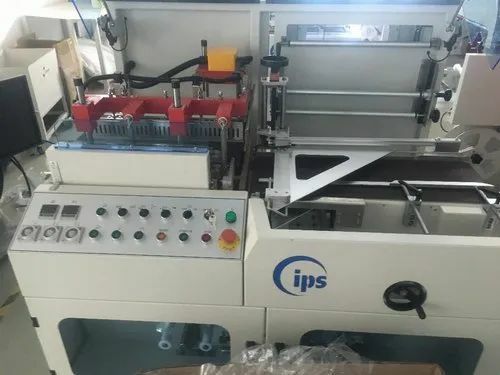 Fully Automatic Tray Shrink Wrapping Machine is designed for Sleeve Wrapping of product already loaded on trays, single boxes or stacked rigid items. Belt will be of Special Grade Teflon material to withstand the higher temperature. Cardboard pad gives extra strength to shrink wrapped products for better handling and stability on the pallet. 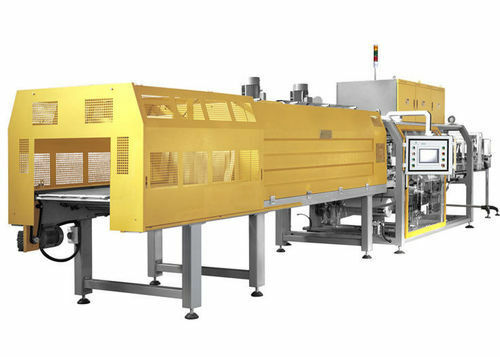 A wide range of Automatic Tray Wrapping Machineare used in various industries for different applications for wrapping products with a range of shrinkable films. We offer these with low power consumption and better functioning. Our ranges of products are highly appreciated for their features like noiseless operation, energy efficient and durable. We are one of the leading manufacturers, suppliers, and exporters of a comprehensive range of Pallet Wrapping Machines, which is suitable for quick transporting and storing. Our range has been appreciated for its good adaptability, high efficiency, and low electricity consumption, which decreases the labor intensity. Further, these machines protect the packaging from dust and damp, and also offer clean packaging. Moreover, it decreases scratches of the package, improves surface quality, and makes packaging more secure. Note: We can also make the machine according to clients requirements. We are leading manufacturers & exporters of Integral Vertical Collator Wrapping Machine. The main objective of our organization is to provide complete satisfaction to our valuable customers by providing them a wide range of Bottle Shrink Wrapping Machines. 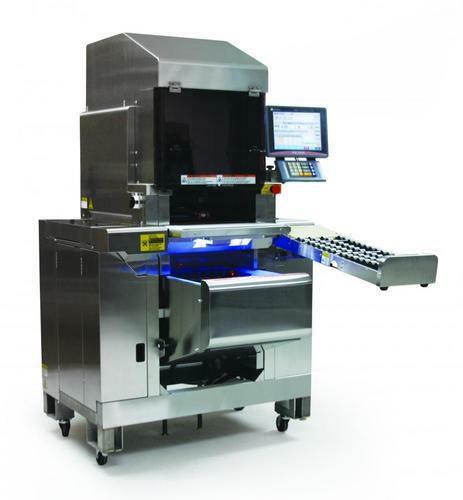 We offer these machines in adherence with the international quality standards and also at pocket-friendly prices. Available with us a wide range of Label Shrink Packagers of different types, dimensions, grades and specifications as per the requirements of our clients. 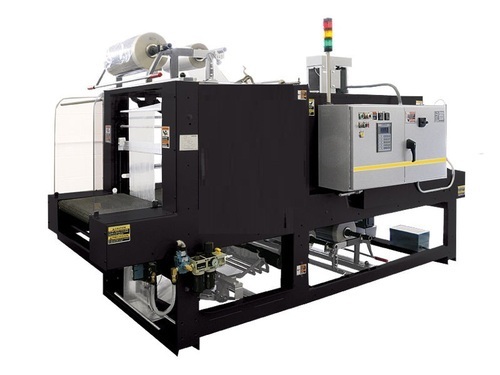 We offer a wide range of this Tray Shrink Wrapping machine that is manufactured using high-quality material and used in various industries for different applications. This sleeve wrapping of the product is already loaded on trays, single boxes or stacked rigid items. 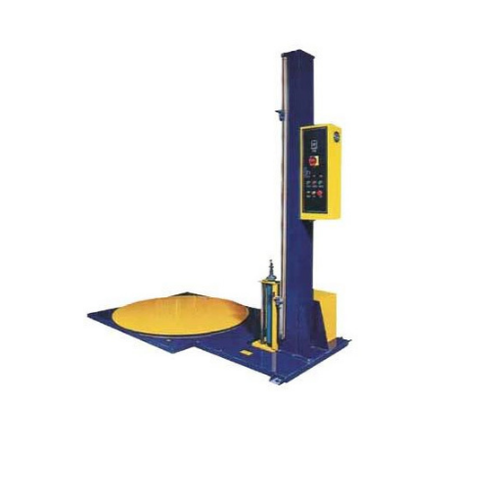 These handlings are available in various sizes and models with different operating range. 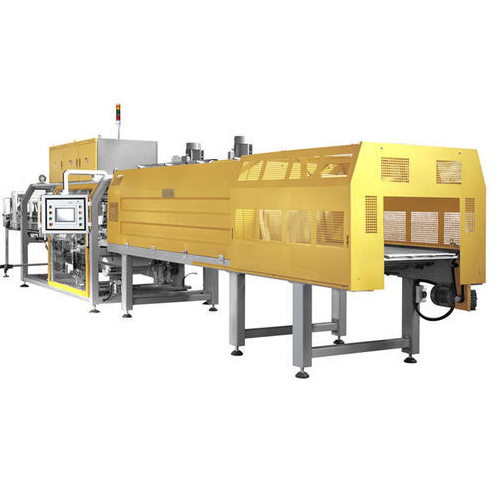 Our range of Semi Automatic Shrink Packing Machine is developed with the far infrared and the hot blast circulation technology. The electronic limitless speed modulation of our machine is equipped with automatic temperature control. We fabricate this product with automatic contact device control for cutting sealing and shrinking. Further, we have installed the best quality components and controls in the machine for a trouble free and long lasting performance. We are engaged in offering our clients with a qualitative & wide range of Wrapping Machine that includes Semi Automatic Wrapping Machine. If the number of pallets to be wrapped is limited, the economic solution to the need for wrapping is the semi-automatic wrapper. 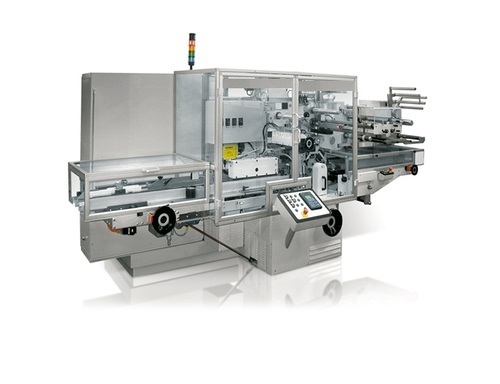 Looking for “Shrink Wrapping Machines”?